When a worker suffers an injury on the job, the consequences may be devastating. Fortunately, injured workers in South Carolina have important legal rights available through the South Carolina Workers’ Compensation Act. The workers’ compensation system is designed to provide an injured employee with necessary medical treatment, disability payments, and monetary benefits to compensate for any physical impairment or disability resulting from the workplace injury. It is important to know that workers’ compensation claims in South Carolina are subject to strict deadlines for reporting and filing claims. In addition, the hearing process requires an injured worker to follow many South Carolina statutes and regulations, along with complying with rules of the Commission and evidence in order to prove the claim. These requirements can be daunting without an experienced attorney representing you. Many workers’ compensation claims are lost because the injured worker is unaware of these laws and legal requirements If you have been injured on the job, it is best to hire an attorney as soon as possible to ensure that your claim is properly filed and that you get the medical treatment and compensation that you deserve. This includes injuries related to pulling, lifting, pushing, holding, carrying, and throwing. This mostly pertains to falls from wet or slippery floors. These falls happen when working from elevated areas such as a ladder, rooftops, and stairways, most typically. Injuries from falls frequently include broken bones, brain injuries, and neck injuries. These are injuries caused when a worker slips or trips without falling. The most common injuries are twisted or sprained knees or ankles. Serious injuries can happen when a worker is hit unexpectedly by a moving object, such as a piece of heavy equipment or machinery. Like struck-by accidents, crush injuries generally occur on construction sites or in places that use heavy machinery, such as warehouses. These types of injuries can be especially debilitating and may even result in death. 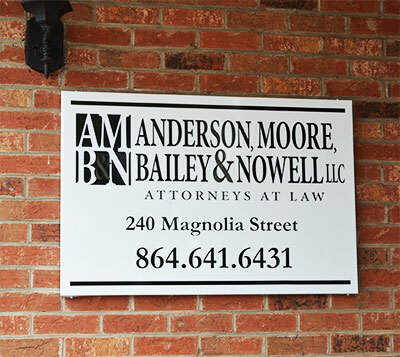 Workers injured in automobile accidents may be eligible for workers’ compensation benefits in South Carolina as long as he or she was performing work-related duties when the accident occurred. This injury is less obvious up-front, but is harmful in the long run. The most typical injuries come from continuous use of a computer from typing, straining muscles and tendons, causing back pain, vision problems, and carpal tunnel syndrome. One of the most notorious examples of a workplace illness is mesothelioma, a rare form of cancer that is caused by exposure to asbestos. Exposure to asbestos – a material frequently found in old building insulation, ceiling and floor tiles, and other materials – is the only known cause of mesothelioma. It is commonly discovered in people who have had occupational exposure to asbestos in construction, manufacturing, and shipyard work.